Well, as we all know, Windows Media Player is horrible. So, we all use WinAmp, right? Well, it is true that Winamp is really famous and a lot of people use it. But, is it the best? Nope, far from it. From the handful of music players that I have used, one stands out far ahead of others: Foobar2000. The name sounds weird, doesn't it? Let me tell you, once you have started to use Foobar, there is no looking back. Winamp just seems not good enough. The sound quality is top notch and the features provided by Foobar are really useful. For one, the interface is really customizable just like Winamp. People looking for flashy players can stay away from foobar though. But, for people looking for best performance and features, foobar will deliver! It plays every music file you can throw at it. Every playlist file including cue files. It supports plugins and a wide variety of plugins are available for ready download. My favorite plugin is the VST plugin with which you can apply VST effect to your music - effects like Dolby headphones, room acoustics, crossfeed, parametric equializers etc. You can also chain multiple VST effects. It supports ASIO devices with which you can bypass the inferoir Windows sound mixer and output the music data directly to your sound card whcih is very useful to me with my Asus sound card. And, the best feature of all? It has an in built audio converter. All audio converters I have tried are messy or not easy to use. This one is just pure genius. A few clicks and there you go - foobar is converting your tracks to MP3, FLAC, OGG - you name it. It can also split a composite FLAC/APE file to it's component tracks given a cue file. Very very useful. It also has a clever customizable file naming scheme. Well, this is just a short intro about what foobar can do. There is a lot more to be explored in this gem of an application. 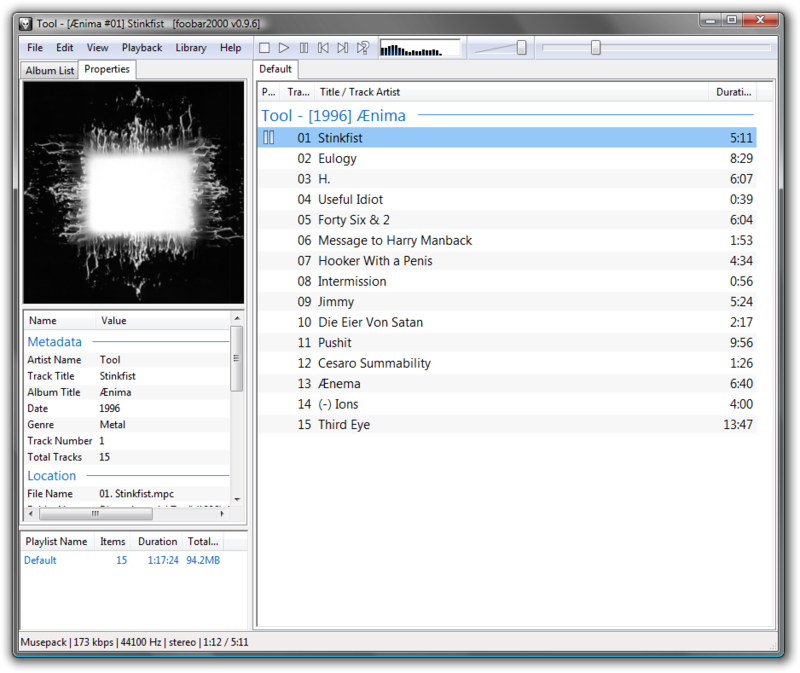 So, go ahead and download foobar2000 and enjoy music the way it is meant to be enjoyed.